a meditation program designed for today. A simple program that meditates for you. Less stress. More relaxation. Better health. All you need to do is press Play. All the life-changing benefits of meditation, just waiting for you. right now. If you’re not, there’s a reason why. What’s yours? 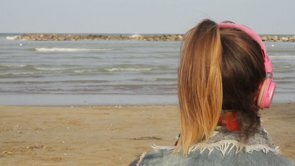 "I can never quieten my busy mind and all of its thoughts! So meditation seems a waste." "No matter how hard I try, I just don't have enough time to meditate!" "I try to meditate, but just never seem to get the results other people rave about." "I constantly find myself fidgeting, itching and generally feeling uncomfortable!" "I never seem able to properly focus on my meditation. Something always disrupts me." "I didn't realize meditation had so many huge benefits!" Let Zen12 change your life, starting in just 12 relaxing minutes. Zen12 will transform the way you look at meditation. It uses special audio MP3s that help induce a deep state of meditation. Over 100 years of science in each MP3. 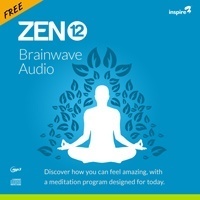 Zen12 uses “brainwave entrainment” to help induce a super-deep state of relaxation. is an area of science that has been researched and proven for over 100 years. All this means you don’t have to focus, concentrate or even try to meditate. You just listen, and let Zen12 do the work for you. Special pulses are played by the Zen12 brainwave audio, replicating deep meditative brainwave frequencies. You automatically achieve deep meditation and all of the benefits, in a fraction of the normal time! Grow as you meditate, month by month. the entire year-long Zen12 program. one of our more advanced levels. Choose your unique meditation style. with each of its twelve levels, so you can pick what suits you best. Which would you prefer to listen to today? Sit back and let the soothing sounds of our spa-like music help you chill out. Listen as we guide you through a blissful meditation exercise, unique to each level. Let the sound of a babbling brook, or the chirp of a countryside bird, help you get into the zone. This special ‘fuzzy’ sound helps block out background noise and distractions, and is great for meditation in the city. for every single level in the Zen12 program. so meditation never gets boring! How to meditate with Zen12. Meditating with Zen12 isn’t a chore. In fact, it couldn’t get any easier. You just find 12 minutes in your day, hit play, and enjoy the benefits. No special instructions to follow. Just play on your iPhone, MP3 player or computer, and listen. Immediate stress and anxiety relief. Greater relaxation. More focus. Enhanced creativity. And more! When you decide to try out Zen12, we’ll give you everything you need. email address you can use to get in touch with us, night and day. Unlock all 12 months of levels, in several styles. Total of 48 MP3s. Just use the ones you want! Take our direct contact email. We’ll help you in every way we can. Uncover the story and the science behind Zen12, and learn how to use it to the max. Our bonus gift to you. Includes copies of ‘The Secret Art of Self-Development’ and ‘The 18 Rules of Happiness’ (with audio versions), as well as self-growth vouchers. Nothing to risk. Everything to gain. You’ll fall in love after your first session with Zen12. But just so you feel confident, we’ll give you a full year to try out the entire Zen12 package. If you’re not thrilled with the results for ANY reason, let us know and we’ll refund everything you paid. You can even keep the bonuses, with our complements. It’s time to begin meditating. Imagine enjoying every meditation session from this point onward. It all happens so effortlessly. Just 12 minutes, and you instantly feel more relaxed, more focused and more creative. Zen12 is your secret to the best performance of your life. for meditators with at least six months experience. All transactions are fully encrypted, secure, and processed by PayPal credit card payments. Note: You will get to fully review your order on the next page. Do I really have time for this? Zen12 really does take just 12 minutes a session. You don’t have to listen every day, if you don’t want to. And we think you’ll find the extra productivity you gain outweighs the amount of time you put into the system. How does this meditate ‘for me’? The Zen12 program uses something called ‘brainwave entrainment.’ This is an area of science that has been studied for over 100 years, and is proven to effectively help control your brainwaves. Do I have to listen every single day? Not if you don’t want to! We recommend listening once a day if possible, but you can easily get away with just a few times a week. Zen12 fits around your schedule. You’ll still feel the benefits, no matter what! You can get started within the next 10 minutes. There are no complicated setup instructions or training required. You just download the MP3, hit play, and relax. Zen12 will do the rest for you. Simple! Program creators: Incorporate Zen12 into your audio products. Get all the benefits of 1 hour's meditation in just 12 minutes. Click the red button to claim your FREE brainwave audio! 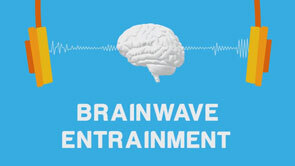 Claim your FREE brainwave audio!